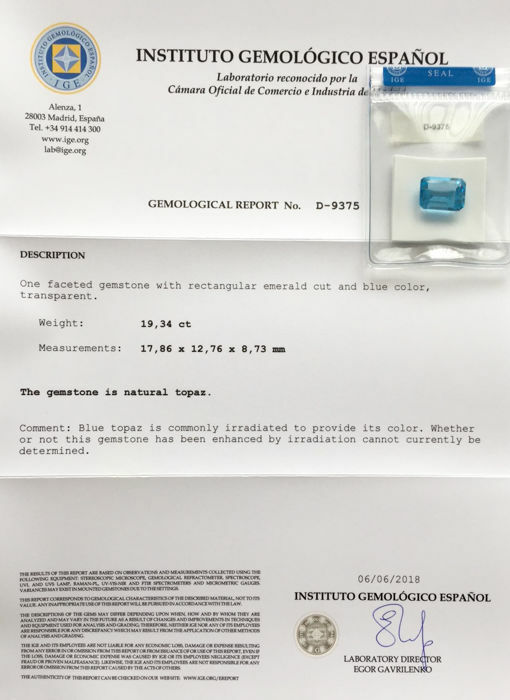 Brazil - Oblong emerald "Chip in the corner"
MEASUREMENTS: 17.86 x 12.76 x 8.73 mm. 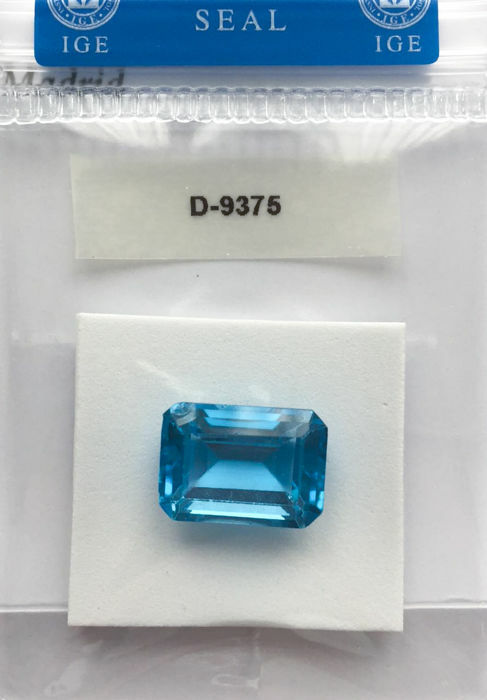 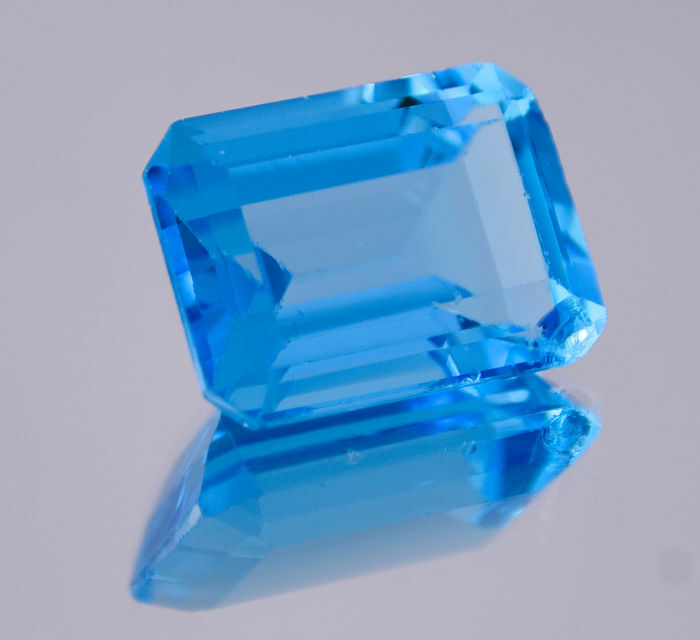 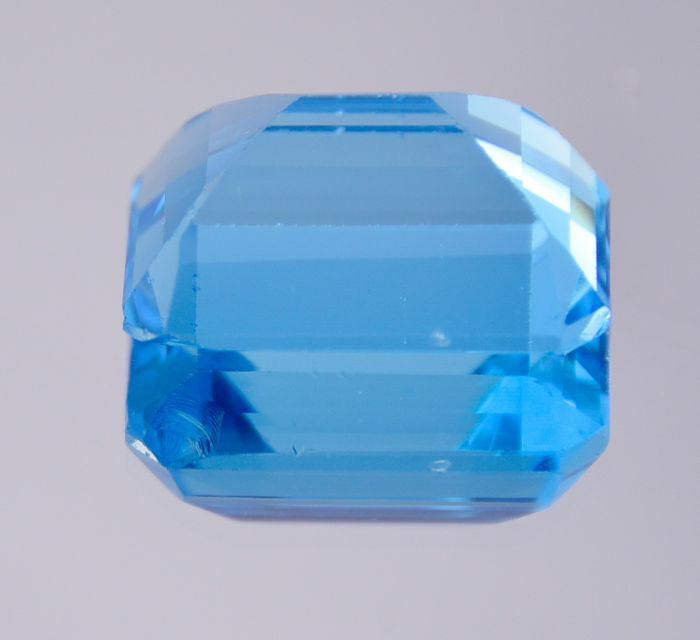 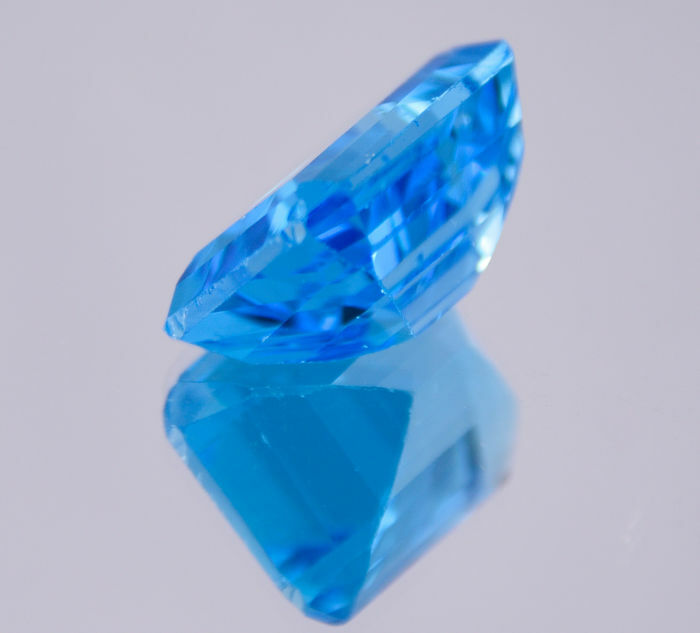 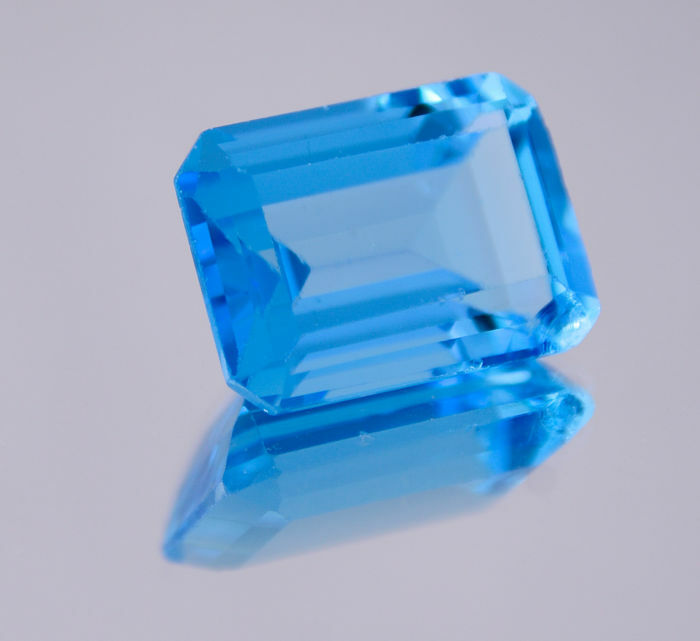 Comment: Blue topaz is commonly irradiated to provide this colour. 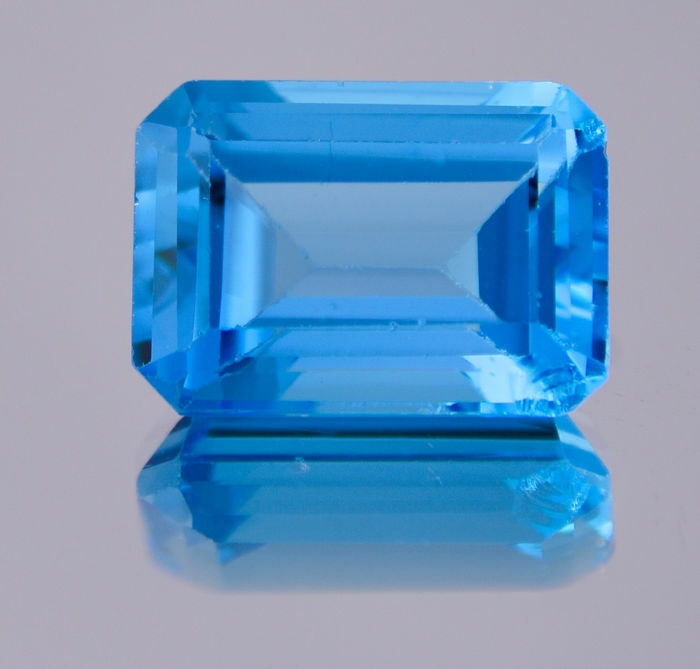 It can not be determined whether irradiation has improved this precious stone. 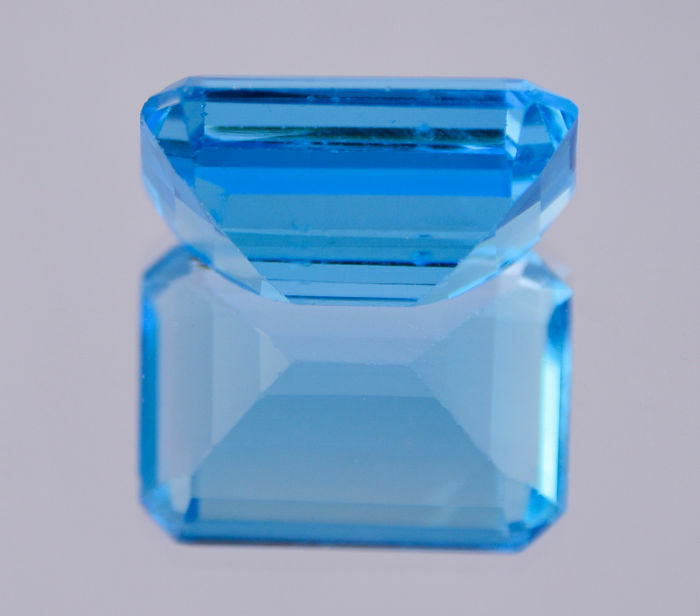 IMPORTANT: The gemstone has a dent or chip on one of its corners "Chip in the corner".